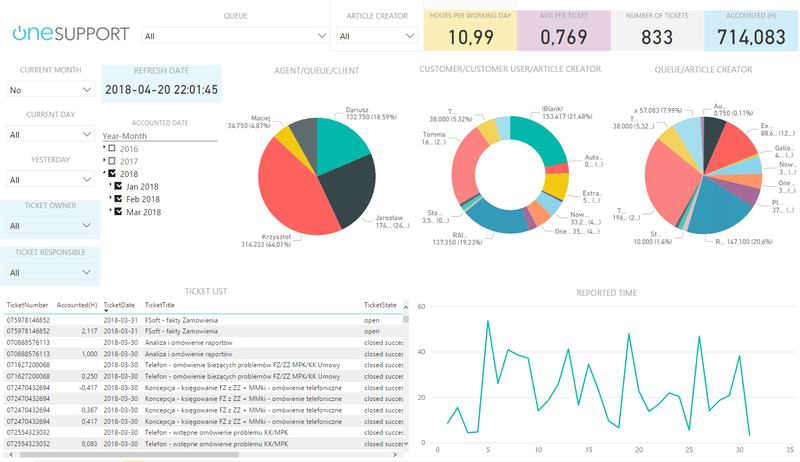 Interested in Power BI dashboard for OTRS? Would you like to try out its possibilities? 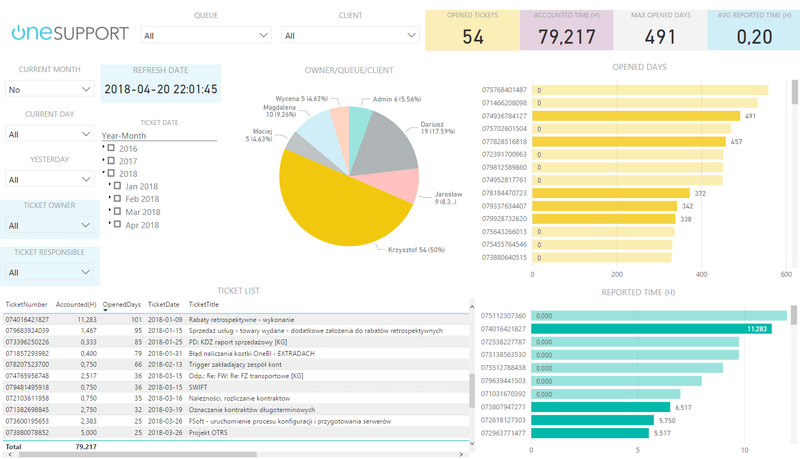 Get to know Power BI for OTRS! You will run a dashboard with the data from your own OTRS within a few minutes. Would you like to expand the dashboard with additional elements? Do you have non-standard elements in OTRS that you would like to analyze? Do you need help configuring Power BI, Enterprise Gateway? Would you like to analyze tickets with Excel? 3. Data necessary to connect to the database. Can I browse the dashboard on mobile devices? Yes. To do this, you must publish the Power BI dashboard at https://app.powerbi.com. You can use either a free or paid account. You can do it! Contact us for details of cooperation. It is not possible using a dashboard. But we have a ready solution! Contact us for details.